Enthusiastic feed-back of nutraceutical industry at VENDORBRIEF presentation of Mythocondro held last week during Supply Side West, in Las Vegas. 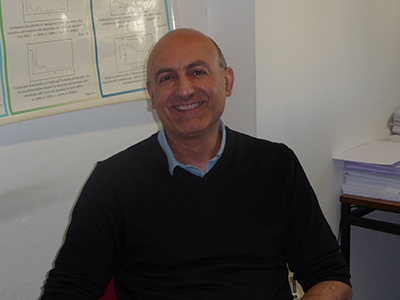 Prof. Nicola Volpi, Associate Professor of Biochemistry at the University of Modena and Reggio Emilia, Italy, one of the worldwide expert in the field of chondroitin sulfate (CS), gave a successful speech on the concerns of current industrial production of animal-derived chondroitin sulfate and introduced Mythocondro, the pioneering ingredient developed by the Italian based company Gnosis, through an innovative fermentation technology. Mythocondro promises to resolve the long-standing acknowledged problem of poor quality and potential safety issues of animal-derived CS. The speech was also the occasion to issue and present a book that describe and unlock the insights about this new Non-Animal Chondroitin Sulfate, with relevant effectiveness in joint disease. Going inside the speech, Prof. Volpi offered a trip into chondroitin world with an extensive overview of the aetiopathogenesis of OA, of the current database of CS in the treatment of OA, the relative safety concerns of animal-derived sources and the relevant description and clinical evidence of Mythocondro. CS is a natural sulfated GAG which play a significant role in biological processes as it is abundantly distributed in humans, other mammals and invertebrates. Based on its structural diversity in chain length and sulfation patterns, CS provides specific biological functions in cell adhesion, morphogenesis, neural network formation and cell division. 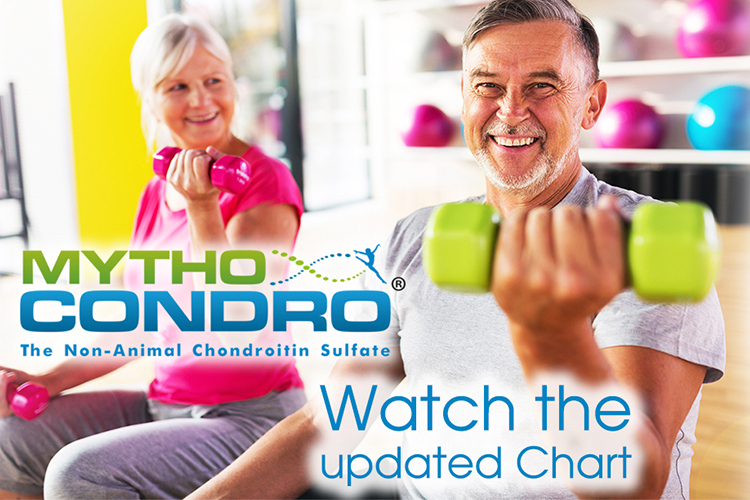 Even if the clinical benefits of CS have been established by a large number of human trials it is also known that animal-derived chondroitin is now acknowledged within the nutraceuticals industry as one of the most adulterated supplements in the market. This poses serious concerns about the quality and the safety of the ingredient. 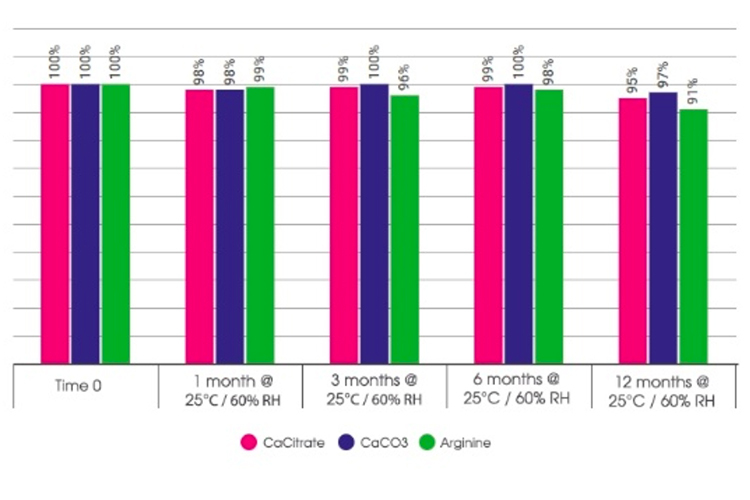 Animal CS supplied to the market is extracted from cartilaginous feedstocks using organic solvents, with purification processes that may cause chemical degradation/desulfation and loss of activity along with an uncontrolled and unreliable supply chain of CS raw materials. 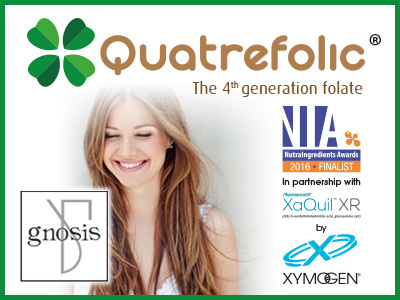 Source material, manufacturing processes, the presence of contaminants and many other factors contribute to the quality, structure and physico-chemical properties of the final product and of the overall biological and pharmacological activities of this bioactive (macro)molecule[1,2]. The quality profile of animal-derived CS changes with the tissue, organ and species. 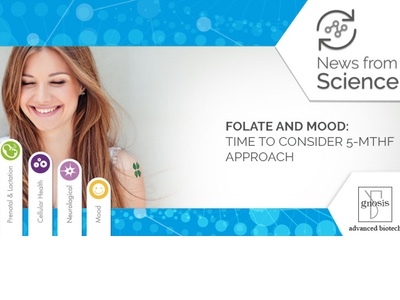 Furthermore, as well known, the biological and pharmacological properties may vary with the structure and the oral absorption may be influenced by the different physicochemical properties[4,5]. Finally, due to the extractive origin of CS, the presence of virus or prions cannot be excluded, as well as other various natural bioactive (macro)molecules present as contaminants in CS extracts in different amount[7,8], or voluntary adulteration by similar artificial compounds, or a restriction use related to religious issues. 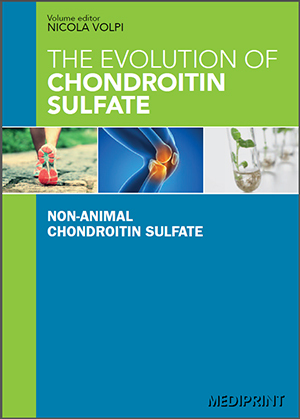 In the Volpi’s book a novel chondroitin sulfate of non-animal origin is presented pointing out why Mythocondro, resolves the long-standing acknowledged problem of poor quality and potential safety issues of animal-derived CS. 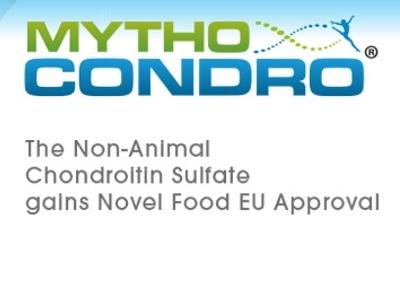 Mythocondro based on fermentation technology, is characterised by high purity, homogeneous structure and physico-chemical properties, highly, point-by-point controlled production process for a highly controlled and reproducible final product, no toxicity in acute and chronic animal models, improved biological activities, anti-inflammatory and protective properties in an osteoarthritis animal model study. 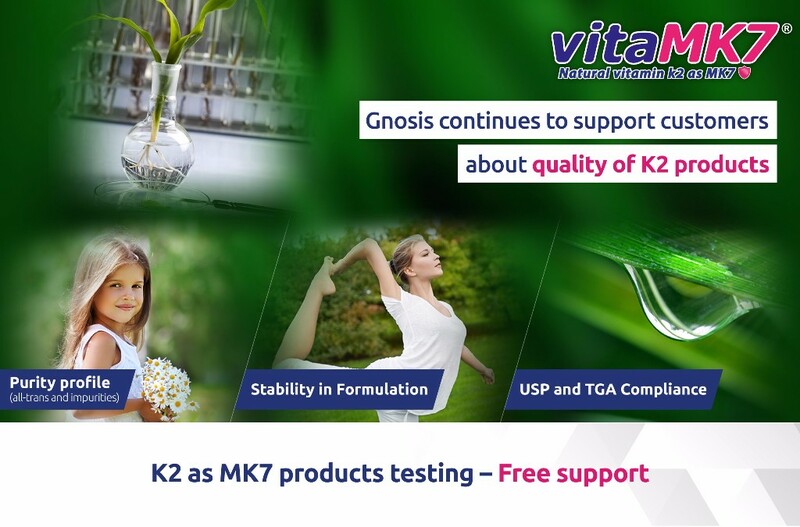 It represents a reliable solution to the growing demand of effective prevention of the bone health in ageing population and is the first CS suitable for vegetarians and free from restrictions of use related to religious and supply issues. N (Ed). 2006. 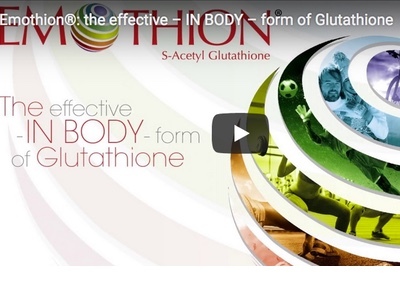 Chondroitin sulfate: structure, role and pharmacological activity. Amsterdam, Boston, Heidelberg, London, New York, Oxford, Paris, San Diego, San Francisco, Singapore, Sydney, Tokyo: Academic Press. Martel-Pelletier J, Farran A, Montell E et al. Discrepancies in composition and biological effects of different formulations of chondroitin sulfate. Molecules 2015;20:4277-89. Martel-Pelletier J, Boileau C, Pelletier JP et al. Cartilage in normal and osteoarthritis conditions. Clin Rheumatol 2008;22:351-84. Volpi N. Oral bioavailability of chondroitin sulfate (Condrosulf) and its constituents in healthy male volunteers. Ost Cartil 2002;10:768-77. Volpi N. Oral absorption and bioavailability of ichthyic origin chondroitin sulfate in healthy male volunteers. Ost Cartil 2003;11:433-41. Schonberger LB. New variant Creutzfeldt-Jakob disease and bovine spongiform encephalopathy. Infect Dis Clin North Am 1998;12:111-21. Volpi N. Quality of different chondroitin sulfate preparations in relation to their therapeutic activity. J Pharm Pharmacol 2009;61:1271-80. Volpi N. Analytical aspects of pharmaceutical grade chondroitin sulfates. J Pharm Sci 2007;96:3168-80. Weiguo Z, Giancaspro G, Adams KM et al. Electrophoretic separation of alginic sodium diester and sodium hexametaphosphate in chondroitin sulfate that interfere with the cetylpyridinium chloride titration assay. 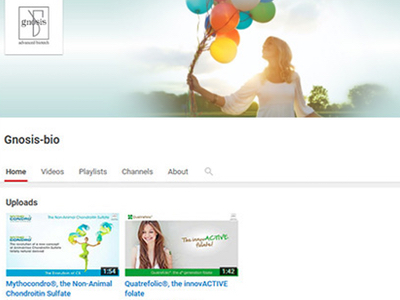 J AOAC Int 2014;97: 1503-13.